The remarkable true story of a bold and fearless young adventurer. At the age of 23, Ash Dykes became the first person to walk, solo and unsupported, across Mongolia. His journey took 78 days and saw him trek over the Atlai Mountains, the Gobi Desert and the Mongolian steppe. It was an expedition filled with danger and extreme conditions. He almost didn't make it. A year later, Ash spent more than five months traversing the length of Madagascar via its eight highest peaks and through a country on the verge of civil war. It was another world first. 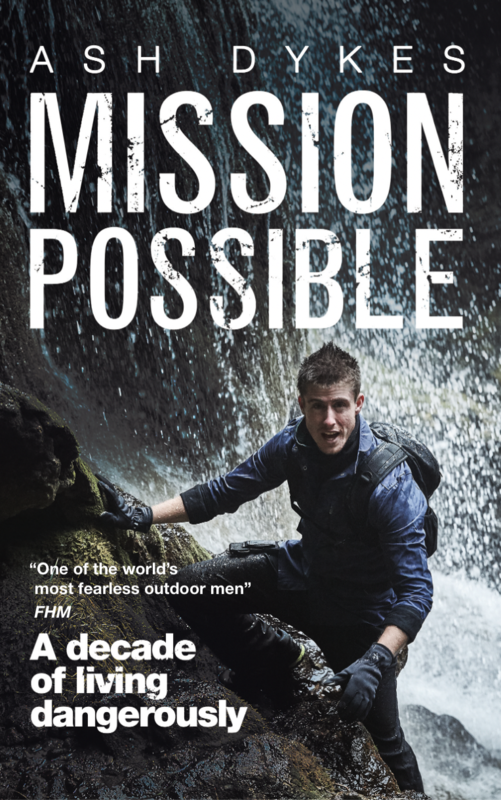 In Mission Possible, Ash reveals the spirit, planning and sheer determination that went into these two record-breaking feats. Along the way, we discover how a young man from Wales transformed himself into one of the globe's most acclaimed and exciting young adventurers. It is an inspirational story. Sharp stones on the hard, sandy ground where I lay poked like nails into my back. Just a few inches above me was my steel trailer with my tent and other kit loaded on top, and I tried to avoid touching the hot metal. I’d shuffled underneath it to shield my upper body from the burning sun, but my legs stuck out the end and felt as if they were melting. I imagined how I would look if there were anyone around to see me, but there wasn’t anyone for miles: in my mind’s eye, the camera panned out into the sky over an empty expanse of bright pale desert until I was an insignificant speck, a dot gradually fading from view. I put the water bottle to my blistered lips. I’d been daydreaming of cold, clear, fresh water, babbling brooks, gushing taps – but the dregs left in the bottle were as hot as tea and tasted sour. The heat was relentless – it must have been over 40°C – and I’d been trekking since morning, weak and semi-delirious, my eyes tired from searching the horizon for signs of a settlement. By this time I had been walking for 43 days through the Gobi, dragging the 18-stone trailer through sand had been tough from the beginning, but now every step was demanding. The last food I’d eaten hadn’t spent much time in my system, and my body was running on empty. My mind had been wandering as my body struggled on. I had ventured into the Gobi Desert, known as the harshest desert in the world, earlier than anticipated, taking a route without confirmed water sources. Although I’d made it through that section I’d had to ration my water for a few weeks and the dehydration had been getting worse without my feeling any symptoms. Now, in the hottest and worst part of my route through the desert, where there were no water points for several days at a time, it had all hit me and I was paying the consequences in the most severe way. I remembered the eerie skeletons of camels I’d walked past in the middle of nowhere. The thought entered my head, a sudden clear thought emerging from the fog, that this could be my impossible day: the day I might not succeed, the day my expedition would fail… the day I could die. People had said it was impossible to cross the country this way, walking all the way alone through mountains and desert and steppe… No-one had done it before. It just wasn’t possible, they said. Were they right? No. If I could just make it 100 more metres, I could rest again, and if I could keep going like this, I would make it to a settlement, however long it took, and someone would give me water. I had to believe it. Somehow the need to prove people wrong, to prove that I could do it – and perhaps just the will to live – galvanised me to pull myself up. My muscles ached but I gritted my teeth against the pain, cursing. Must continue, I said to myself, no matter what. Determined to keep pushing on, I broke the goal down into small steps. Step by step. It was resilience and mental strength, I believe, that got me through that day, making it all possible again. It was also thanks to my previous experience. I don’t know if I’d have been able to walk across Mongolia if I hadn’t done everything that came before. Every step of the journey of the previous years had built up to a powerful force that helped me survive. Crossing Mongolia solo and unsupported, becoming the first person known to have done so, was my first big expedition, which I completed at the age of 23. Several years before, I’d decided I wanted to go into the unknown, throw myself far out of my comfort zone, push my personal limits, experience as much as I could and see what was possible. My insatiable appetite to explore and to challenge myself was there already. To me, that was truly living. But growing up on an ordinary street in an ordinary town in North Wales, it had felt like a crazy idea to make such a huge dream happen. 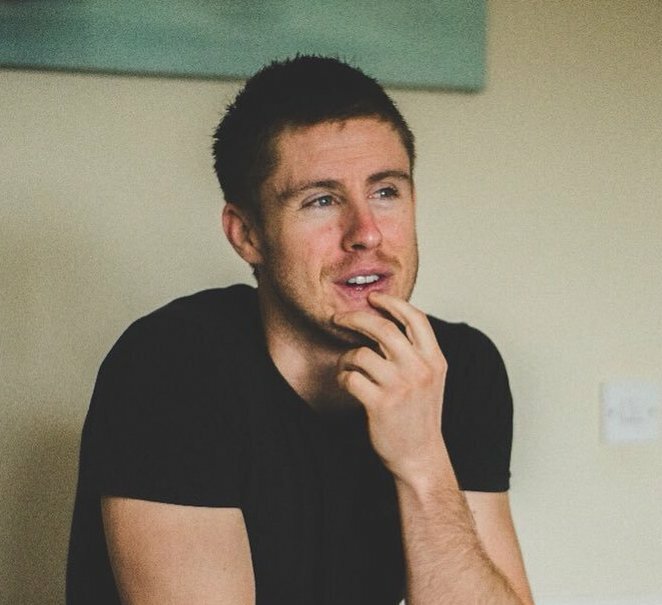 Watch Ash Dykes' riveting TED talk about his adventures and read about his campaigning as a special ambassador for Malaria No More UK. Read a Q&A interview with Ash in the Scotsman Magazine. BBC News reports as Ash unveils his toughest challenge yet: to walk the 4,000-mile Yangtze river. And here's The Independent on the Yangtze announcement. For an update on all Ash's latest activities, visit www.ashdykes.com. Ash Dykes was born in St Asaph in North Wales in 1990. He has learned how to survive in the Burmese jungle, worked as a master scuba diver and trained as a Muay Thai fighter. He has won the coveted UK Adventurer of the Year award and regularly gives talks in schools and colleges. His exploits have won him recognition from a wide range of publications and TV shows – among other accolades, he has been named the seventh coolest person in Wales – as well as an invitation to 10 Downing Street. He is an inspiration to his tens of thousands of followers all over the world. Read more about Ash and his adventuring at www.ashdykes.com.